Basalt fiber applications: brake pads, thermoplastic compounds etc. According to National Directives on end-of-life vehicles, it is strongly recommended to car manufacturers to use end-of-life management principles during car development and production. To fulfill such recommendations, car manufactures have to look for new "green" materials which could help them to meet environmental requirements and to ensure maximum recycling when the vehicles reach end-of-life stage. As a raw material for Basfiber® production, we use basalt which is an inert natural rock. Excellent end-of-life recyclability in incineration chamber and possibility of further use of black powder that is the product of recycling. Besides excellent mechanical and sound/thermo insulation properties, the key competitive advantage of Basfiber® in this application is its outstanding recyclability which enables car producers to effectively meet strict end-of-life requirements. Veils production according to the “paper” technology. Typical Basfiber® products for this application: wet chopped strand 13 to 16 µm, cut length 12.7mm), covered by KV-05/1 sizing (water compatible). Basfiber® is much lighter than steel, has better mechanical properties than E-glass and is more cost-effective than carbon fiber. All these advantages, along with excellent recyclability and extended range of working temperatures make Basfiber® extremely promising for production of CNG cylinders. Typical Basfiber® product for this application: Assembled roving 13 µm, 1200 or 2400 tex, external unwinding, KV42 sizing (compatible with epoxy resin). Typical Basfiber® products for this application: The 3 or 6 mm chopped strand, 13-16 µm, KV-02M sizing (compatible with phenolic resin). Typical Basfiber® products for this application: Assembled roving 17 µm, 2400 or 4800 tex, КV-42 sizing (compatible with epoxy or phenolic resin). 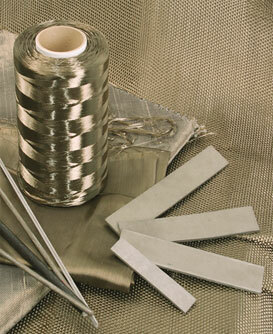 Basfiber® is used for production of thermo insulating sleeves, braids, and fabric for cars exhaust system. The flexible knitted sleeve, when installed on vehicle exhaust pipes, prevents exhaust gases from losing their high temperature as they flow through the exhaust system. The technology enables more complete conversion of gases and particulates, such as CO2 and unburned carbon, in the catalytic converter; the result is better engine effectiveness and less environmentally damaging exhaust effluents. Typical Basfiber® products for this application: Textured roving for sleeves and braids or high tex twisted yarn (up to 600 tex) for fabrics. Many interior and exterior parts of cars are traditionally produced from composite materials based on fabrics. Fabrics made with Basfiber are used by some car producers in this application because of its attractive dark-brown color, high mechanical properties, fire-resistance and competitive price. Today auto manufacturers widely use thermoplastic fiber composites as alternative to metal to reduce vehicles' weight and cost of production. With its outstanding mechanical properties, resistance to high temperature and "green" advantages, Basfiber® also can be successfully used in this application.